During the 20th Century, the shoreline of Lake Michigan was developed for human use, resulting in drained wetlands, channelized rivers, and inputs from stormwater runoff and industrial pollutants. Because of depleted habitats and poor water quality in the rivers of the Lake Michigan Watershed, access to the natural resources decreased and the water quality of Lake Michigan is threatened. Trail Creek, located in Northwest Indiana, drains almost 60 square miles within LaPorte County and enters Lake Michigan at Michigan City. 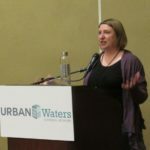 As early as 1992, Michigan City set goals to improve water quality in the Trail Creek Watershed to swimmable and fishable levels; and, in 1993, a management plan for the watershed was created. Improvements were made by separating combined sewers and implementing best management practices; however, the river is still listed on the 303 (d) list of impaired waters for E. coli from both point and non-point sources under both wet and dry conditions. To further combat water quality issues, the Trail Creek Watershed Partnership – the longest standing partnership in the Northwest Indiana area – created a new watershed management plan that was accepted by the Indiana Department of Environmental Management (IDEM) in 2007. 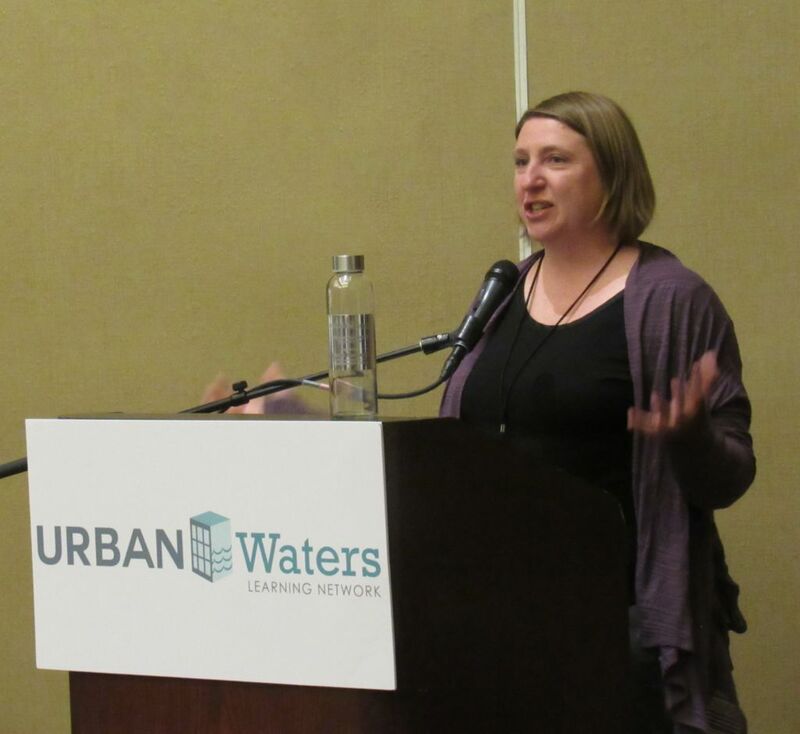 Led by the Unity Foundation, Michigan City Sanitary District, and Michigan City Mayor’s office, the management plan – A Tale of Two Creeks – aims to create best management practices for non-point pollution sources as well as educate the public about watershed health. Organizations and agencies in Northwest Indiana have been advocating for environmental protections in the Lake Michigan Watershed for many years. 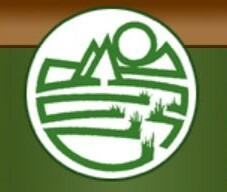 As a result, the area was designated as an EPA Urban Waters Federal Partnership location in 2011. Trail Creek is one of four watersheds in the Northwest Indiana area that is supported by the federal partnership. In 2015, the Trail Creek Watershed Partnership installed the first Wheelchair-Accessible Boat Launch in the state at Hansen Park, an accomplishment celebrated by the federal partnership. The Trail Creek Watershed is one of four watersheds supported by the Northwest Indiana Federal Partnership. Maps modified from EPA and IDEM. Fun and meaningful, the programs put forth by the LaPorte SWCD aim to teach youth and the greater community about the natural resources in their area. Education programs and teacher resources are offered for classroom-based instruction on pollinators, watershed science, and soils. Community-based programs focus on rain gardens, native plants, pollinators and composting. Nicole Messacar, the Education Coordinator for the LaPorte SWCD, uses her educational expertise and experience to organize Trail Creek Week in cooperation with the Trail Creek Watershed Partnership. 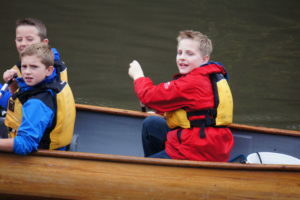 A five-day environmental education event occurring annually since 2011, Trail Creek Week engages elementary to high school age students in activities that teach them about their waterways, water quality, and natural history. 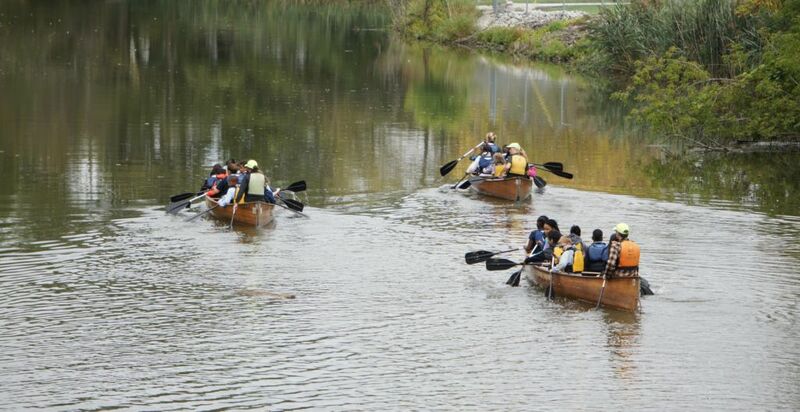 During the event, students also experience Trail Creek on the water through Wilderness Inquiry’s Canoemobile program – a travelling fleet of Voyager Canoes that enable students to learn while experiencing paddling on the river. For some, it is the first experience of Trail Creek that they have. 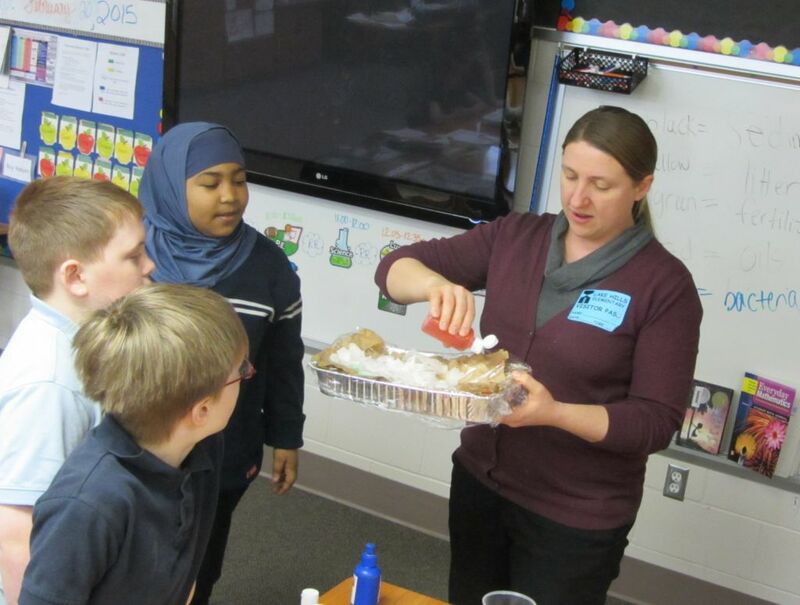 Stemming from the Trail Creek Week programming, Messacar and local educators also formed the Michigan City Wolves Environmental Restoration Team in 2016. This award-winning program includes hands-on service learning for high school students working to restore Michigan City Municipal Parks along Trail Creek. Projects – like planting native vegetation, monitoring water quality, and maintaining parks – benefit both wildlife and water quality. Through the programming, students learn about outdoor recreation while gaining job skills and working with mentors from local, state, and national environmental organizations. Over 30 students have participated in the program, and in June 2017, presented their work at Michigan City’s Conference on the Environment. Messacar and the LaPorte SWCD are also involved in watershed planning. In 2011, the LaPorte SWCD received a grant from the IDEM to implement the first phase of the Trail Creek Watershed Management Plan. With the funding from IDEM, LaPorte SWCD and the Trail Creek Watershed Partnership developed a cost share program, implemented best management practices and green infrastructure with the clean creek fund, provided outreach and education, and continued water quality monitoring. [Read more about each of these accomplishments in the 2016 Section 319 Final Report]. Environmental progress in Northwest Indiana is happening because of strong partnerships and strong leaders. The Trail Creek Watershed Partnership and the Northwest Indiana Federal Partnership are raising awareness about the issues faced in the Lake Michigan Watershed. With projects focused on implementing best management practices, the environmental health of the area has been enhanced. The LaPorte SWCD is instrumental in both partnerships, providing educational and planning leadership, connecting people to the natural resources around them, and getting residents excited about protecting their waterways in fun and empowering ways. Nicole speaks after receiving her award at River Rally 2018. Her strong leadership and effective education are making a difference in the lives of her students and the waterways in the Northwest Indiana region. The LaPorte Soil and Water Conservation District provides leadership, education, and technical assistance to empower LaPorte County residents to conserve and improve our soil, water and related natural resources.